General safety training and awareness. Specific safety training for personnel who work on and around machinery. Mock courts to facilitate understanding of safety responsibilities and obligations. Auditing of pedestrian and vehicle management and interactions. Auditing of personnel interaction with machinery and equipment. Auditing workplace to relevant safety standards. Other standards and various codes of practice. 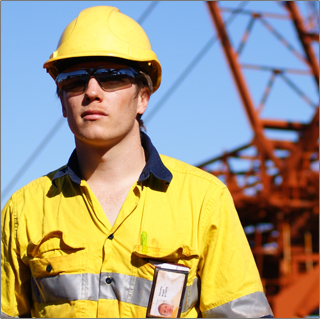 Comprehensive safety audits both in general industry and the mining industry. Risk assessing of audit results to assist with the allocation of priorities. Designed solutions including guarding, controls, access etc. Project management of rectifications and solutions. General consulting services for quality, safety and environment with an integrated management focus. Establishment of site standards for safety and machinery safeguards to help maintain safety. Fully automated reporting systems with a "single entry" multiple reporting approach. Full design, engineering and project management services from small one-off jobs through to comprehensive projects. Design checking and verification services.